As part of the TOS Review Crew I was allowed to chose a product from Bright Ideas Press to Review. Currently we are using All American History Vol I and in the past have used Christian Kids Explore Biology and Mystery of History Vol I from this company. Bright Ideas Press is one of my favorite homeschool publishers and I had my eye on 'A Young Scholar's Guide to Composers' for quite some time. A Young Scholar's Guide to Composers consists of 32 weekly lessons covering six eras of music and 26 Composers. It is hard to summarize the wealth of information in this study. To get an idea of the content of this study a sample can be found here. This is available in two formats - the CD Rom version is $29.95 plus shipping and the Paperback version is $34.95 plus shipping. My oldest was very happy when this came in the mail. I immediately put the CD Rom in my computer to see how I could blend this in with our regular study. In the Teacher Introduction is a suggested schedule which I chose to follow. On the first day we listened to the suggested piece of music, read the lesson and filled out the notetaking pages (Oldest really liked the layout of these pages and did not find the text overwhelming). The second day we again listened to the suggested piece of music, completed the time line (this worked in well as we use a timeline for both history and science) and the 'Composer Info-Card'. Oldest really liked these and they make great reference materials. We also located the Composer's place of birth on the map. Again, this blended quite nicely as we do a lot of map work in our studies. I want my boys to have a better grasp of geography than I do. On the third day we listened to the selections again. We have recently started memorization work and this program fit into our schooling seamlessly. There are directions for 'folderbooks' which are similar to lapbooks. We did not use these as the cards worked well for us. I printed the cards on cardstock - manual duplexing them so we had a card with information on both sides. We then printed out the illustrations and cut them out and glued them on the correct card. There are also instructions for games that I plan to use in the future: Composer Memory, Composer Bingo and Composer Go Fish. My oldest really loves music and games and this product seemed like it was written especially for him. We covered the Ancient Music to Music in the Middle Ages and then Oldest begged to skip to Ludwig van Beethoven. We read the book 'Beethoven Lives Upstairs' last year and since then has loved all things Beethoven. (I think his favorite piece of music is 'Ode To Joy' which he can play on our piano quite well) I believe we will probably go back to a more chronological method after this and work our way through the rest of the study. If you are searching for a way to incorporate music into your homeschooling this study is a great way to accomplish that. There are a lot of materials to choose from. This is a very complete program and is well laid out and easy to follow. To see what others on the TOS crew have to say about this and other Bright Ideas Press products click here. As part of TOS Review Crew I was given a trial subscription of KB Teachers to try out. I love websites such as these and was eager to explore this one. There are two subscription levels and I was given a 2 year Premium trial. They have a 30 day free trial and then the price is $29 for 1 year or $49 for 2 years for premium access. They have all sorts of worksheets for ages K-8 though some of the history and science worksheets could easily be used for older students. The site is well laid out and easy to navigate. In fact there is no search bar because the company believes you should be able to find whatever you are looking for in three clicks of the mouse. They offer worksheets, clip art, workbooks and activity guides. The subjects cover Seasonable topics, English (including handwriting worksheets), Math activities, Science, Biology, and Social studies (including maps). Since my oldest was covering the weather in science I first went to the weather and climate worksheet section. Oh it was wonderful! All three of mine are quite visual learners and there were graphic organizers galore! The stages of a tornado was a big hit and we loved the combination of writing a description and drawing at the same time! They also have a similar worksheet for hurricanes. The illustrations on the worksheets are detailed and wonderful. The pages are not overwhelmed with text or pictures - there is a nice balance. This works well because my boys get overwhelmed at too much on one page. For the middle son - the Astronomy workbook was a good pick. He is familiar with The Big Bang Theory, though we do - as a family - follow creationism. The site is not heavily into evolution - at least not in my observation but the content is there if that is a concern. I don't think it would be a problem to skip worksheets that do not fit into your plan. We used them as a springboard for discussion. For youngest I used the Plants: Intro to Biology worksheets. He is studying plants on a basic level. Again, I found many resources to go with our other work. The Photosynthesis worksheet really helped him to grasp the way plants make their own food. I was happiest with the Ancient Egypt activities. We went to K Bears website and though it was a little difficult to find the Egypt section it was well worth it. We went to the links on Pharonic Egypt as that is the time period we are currently studying. There is a wealth of information there and it was easy to find the answers to the worksheets there. I highly recommend KB Teachers as a supplement to your current curriculum. There are many activities - journal prompts, worksheets, graphic organizers - that will enhance whatever you might be studying. I am looking forward to using the Thanksgiving materials in the upcoming weeks. 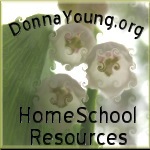 There is something here for every homeschooling family in my opinion. Level #1 - Sentence to Paragraph Writing - suggested ages are 11-13. Level #2 - Paragraph Writing - suggested ages are 12-15. Level #3 - Essay Writing - suggested ages 14-17. There are several options for ordering. Package # 1 is the complete level package - Lessons 1-30 Instructor manuals - spiral bound, Student worksheets and an additional resource CD. The price is $100 plus tax and/or shipping. Package # 2 - Includes the above materials for Lessons 1-15 only $65. plus tax and/or shipping. Package # 3 Includes the above materials for Lessons 16-30 for $65 plus tax and/or shipping. You may also order additional worksheets for $25 plus tax and/or shipping. Worksheets are reproducible only for your family use. If this were being used in a co-op setting then each student would need to order their own copy of the worksheets for use. The worksheets are not stand alone and the teacher manual and CD are required to complete the program. Optional but highly recommended are Mindbenders. This page speaks about their use with the program. We did not use these with the program when we tried it but I can see the benefit if I had differently abled learners. Samples can be found here. There are samples of all three levels and I highly recommend reviewing all of these before making a decision on a level for your learner. Since I have three very reluctant writers I chose to try Level #1 - Sentence to Paragraph Writing. The Instructor's Manual states from the beginning that assignments - other than some specified exceptions - should be typed. This was appealing as my boys all struggle with the mechanics of handwriting and are pretty adept at keyboarding. From there the objective and requirements of implementing the program is laid out along with a definition of terms used in the materials. It is recommended that one lesson be introduced weekly with the remaining days of the week for completing the assignments. There are suggestions for Daily Schedules: 5 Day and 10 Day - a Classroom setting and an alternative schedule to stretch the course out for two years instead of one. The notebook should be set up prior to the first lesson. We did not set up the notebooks but I can see how this would be necessary in a co-op setting. At the top of each Lesson Sheet are a list of supplies needed for the lesson. For Lesson 1 the student notebook, the worksheets 1-6 from the student worksheet packet are needed to complete the lesson. The student also needs highlighters of six or more different colors, a thesaurus and a dictionary. We did one worksheet a day - the introduction on Day 1 and worksheets 1 & 2 and then Day 2/worksheet 3 and so on. The Mind Benders immediately gave my boys trouble - mostly because I didn't fully grasp how they work Since they were optional we left them out after that. Since we didn't set up the notebook I gave them a basic overview of what we'd be covering for that week and on Day 2 we went over the Sentence Writing Worksheet Checklist along with the Teacher Presentation for the day. We followed that pattern for the rest of the week. The boys did like the highlighting of different parts of sentences but they did not like typing up to ten sentences a lesson. I had a lot of trouble adapting the teacher instruction - which seems to be written for a classroom/co-op setting more so than a homeschool. After the Mind Bender disaster, we dropped the use of those but we only managed one more lesson before I could just not engage them. This is truly not a reflection on the product. The instructions are quite clearly laid out and would be wonderful for use in a co-op setting and I'm sure would be much easier for children without the language weaknesses with which my children struggle. I believe a large part of the reason we weren't quite successful with this product was due to my failure to comprehend and adapt the curriculum for my particular students. Please head over and see what other TOS crew members have to say about this product here.